Outta My Dreams and into my album! – It Works For Bobbi! Outta My Dreams and into my album! Published on May 14, 2008 August 9, 2016 by Bobbi-Jo G.
Hi everyone! So sorry I flaked on Tutorial Tuesday again – I promise I’ll have a fun one up for next week. I’ve been being kinda lazy these last couple of days 🙂 Actually, I’ve been productive in a couple of ways. On Monday night we planted our vegetable garden for Family Home Evening – corn, carrots, tomatoes, peas, spinach, green and red onions (which I planted a while ago). Mmmmm I can just taste the deliciousness. Crunch, crunch goodness. I’m done. I’ve also completed a couple of scrapbook pages – the idea for this first one was stuck in my head for weeks, and I was waiting for some down time to make it happen. 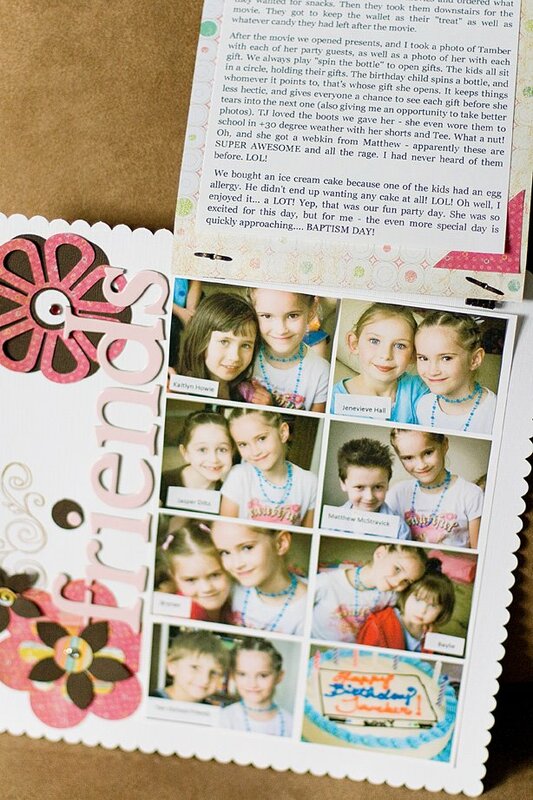 I wanted a way to showcase photos from my daughter’s 8th birthday party on a two page spread. Problem is, I took tonnes of photos. I had this idea to hide some of the photos beneath a flap, and this is what I came up with. The flowers I cut on my silhouette machine, then layered. 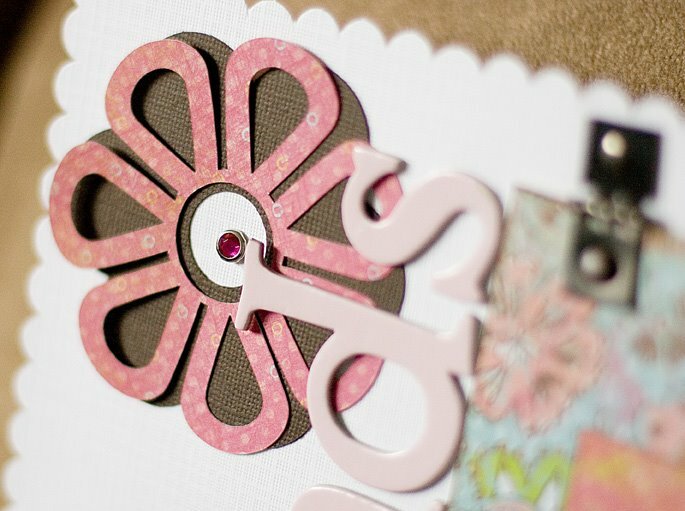 The paper is from the “Urban” collection from K&Co, and the chipboard letters are from Making Memories. 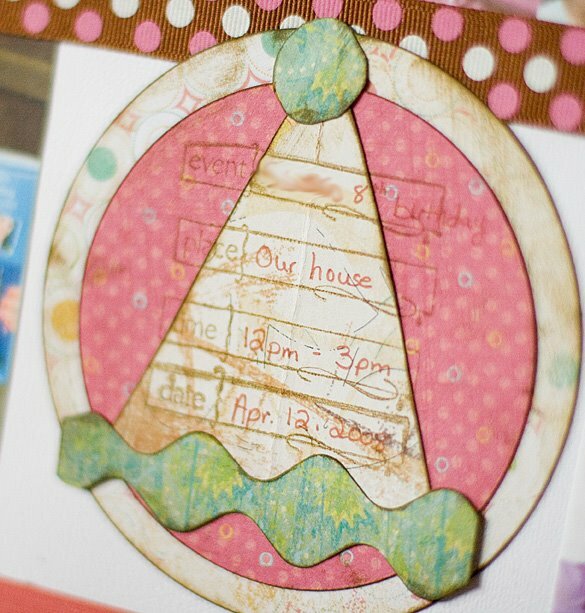 The fun part is the patterned paper block lifts up to reveal several wallet sized prints from the party, as well as the journaling, which I took right from my blog! Easy peasy! The second page is just a collage of wallet sized prints, ribbon and ric rac, and with a handmade party hat with the party details. This one was super easy. While browsing through the birthday party pics to print, I came across pics of these two layouts I did a while back – I loved these. I made the little tag with the date in Word by creating a text box and filling it with color. Besides being oh so productive, I had an awesome mail day today! I got my blog candy in the mail from Michelle! YES! I read through the entire book (pretty much) and am so excited to start trying out some of the techniques. Oh, and the cute stamps! I want to gobble them right up, and would if I could stomach plastic and foam. LOL! Thanks Michelle! It was such a welcome treat today! Previous Baptism, Friends, Family, and Photos! Oh my what fabulous layouts! I just love hidden journalling. Glad you like the book! What fun layouts!Sounds like your yard is (was) exactly the same as ours when we bought it. Isn’t it fun to find hidden flower beds under all that brush and weeds? You’ll really enjoy them now. Sounds like you have a good handle on it…..oh, and a word from me who’s been there….expect those darn dandelions to just keep popping up every single spring for the next three or four years. Well, depending on how bad they were. Ours were horrible! We had ones with deep roots the size of trees! Oh, well. It will be SO worth it in the end. Your yard was always so nice. I bet your loving the extra large size now. What a great group of layouts! 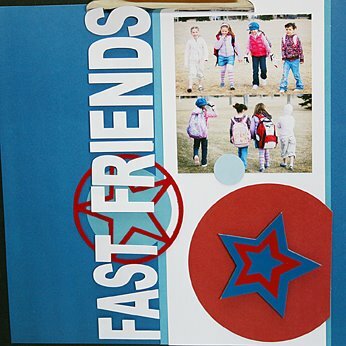 The “lift the flap” page won the Scrapbook Page of the Week over at Card of the Week.com — check it out: http://www.cardoftheweek.com/2008/05/scrapbook-sat-1.htmlThanks for sharing your awesome work! Yes, Bobbi! 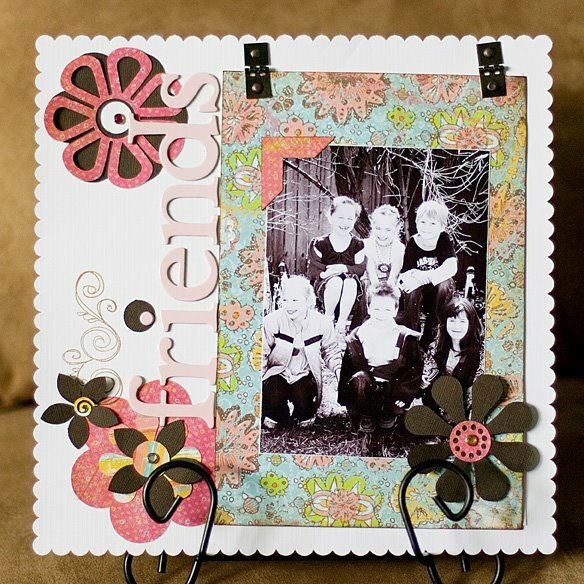 I just saw that you won Scrapbook Page of the Week over at Card of the Week.com.Congrats!